Barbershops are homey and inviting. A memorable and heavenly man aroma fills the air. The scent of hair tonics, pomades, oils, and neck powders are embedded in every nook and cranny of the shop. The moment you step inside you is enveloped in the warm and welcoming familiarity. There is about politics, cars, sports, and family. Guys read the newspaper and comment on current events. In between the banter, jokes are told and laughs are had. Everyone is involved: the barbers, the customers getting their haircut, and the customers waiting to get their haircut; young, old, and middle-aged join in the mix. It’s a straightforward experience with none of the accouterments of the modern age. Just great haircuts and great conversation. Welcome to the 1st episode of "Nation of Barbers". 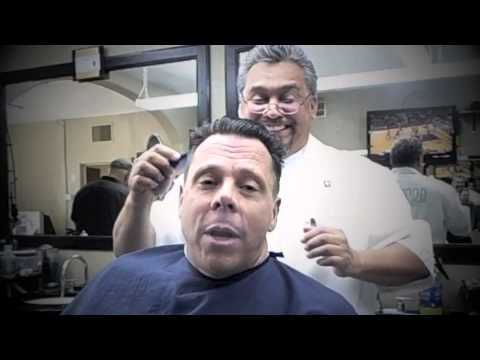 We stopped by Curley's Family Barbershop​ because of his traditional style at Barbering. We can learn something from an old school!! Located in the heart of Downtown Tucson with over 40 years of experience! Client Alejandro is getting it high and tight!